Woodlands Academy use Eden Foodservice to provide delicious, nutritionally balanced meals for our children. The varied menu contains fresh and seasonal ingredients, meeting all of the required ‘Food in School’ standards. Supporting our British farmers, they only ever use sustainable produce, which is ethically sourced and better for animal welfare. All the ingredients can be traced from farm to fork. Eden is the first company in the UK to be awarded the prestigious Silver Food for Life Catering Mark across all its primary schools. Woodlands Catering Team has excellent staff who have worked within the school for several years. The adults have built very good relationships with the children, encouraging them to try new foods and developing good manners. The kitchen has maintained its five star Food Hygiene Rating from the Food Standards Agency. 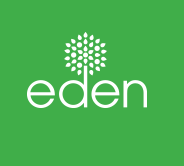 At £2.25 a meal, Eden offers an excellent choice through its enticing and balanced menus. Each day there is a meat, vegetarian and salad bar option. The children choose their meal choice at registration and are allocated a coloured band to assure their selection. Breakfast club, run by school staff, starts at 8.00 and finishes at 8.45am. Please attend early to ensure that you have enough time to eat breakfast comfortably and avoid disappointment as it can get busy. Prices start at 10p, but £1 allows enough for a choice of items.